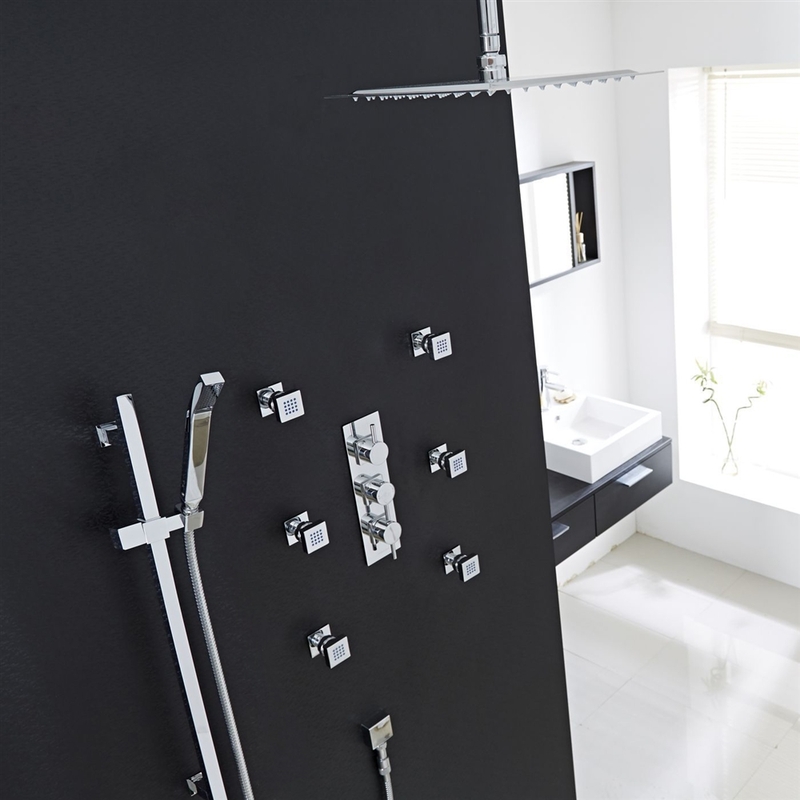 At just 2mm in thickness, the Brio Thermostatic Showerhead is exactly what it promises to be. Ultra-thin. This system comes complete with 6 adjustable massage jets to relax back, neck and shoulder muscles. 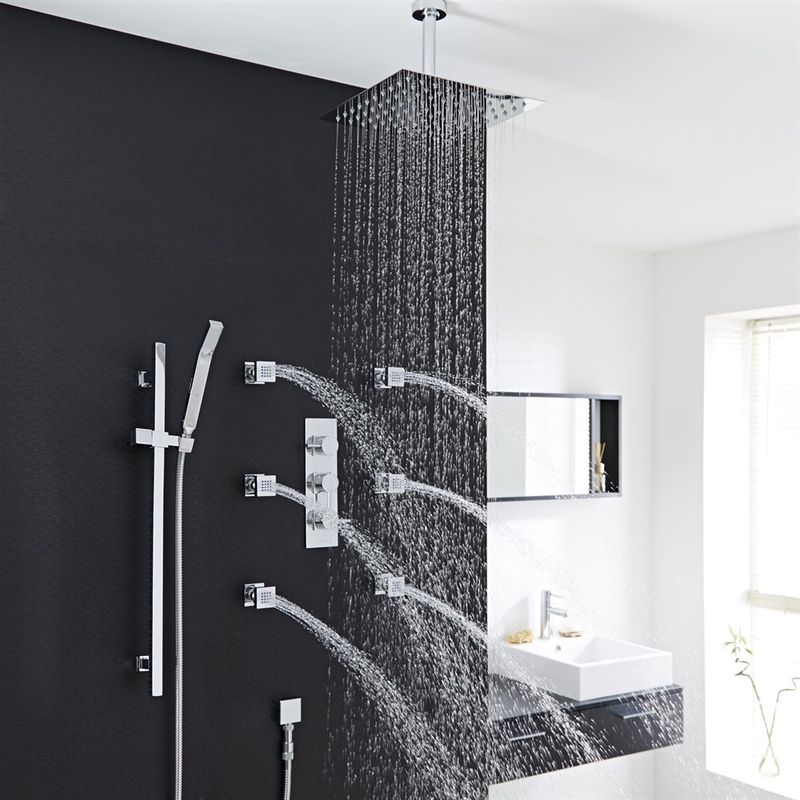 Handheld shower provides additional coverage. Available in four sizes in a lovely chrome finish. ½" NPT Inlets and Outlets Compatible with standard US plumbing connection. 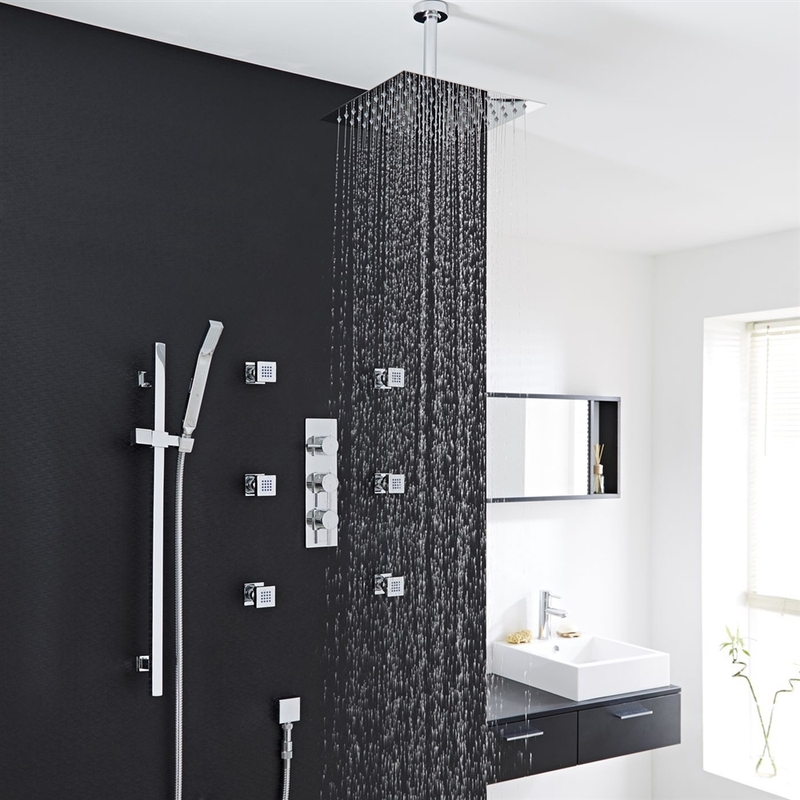 This shower head is an excellent product and the price makes it worth every penny. 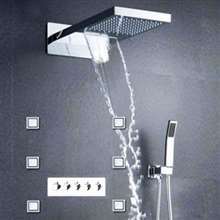 However, though, the water pressure when the shower jets are turned on drops but besides that, it is a really great product. 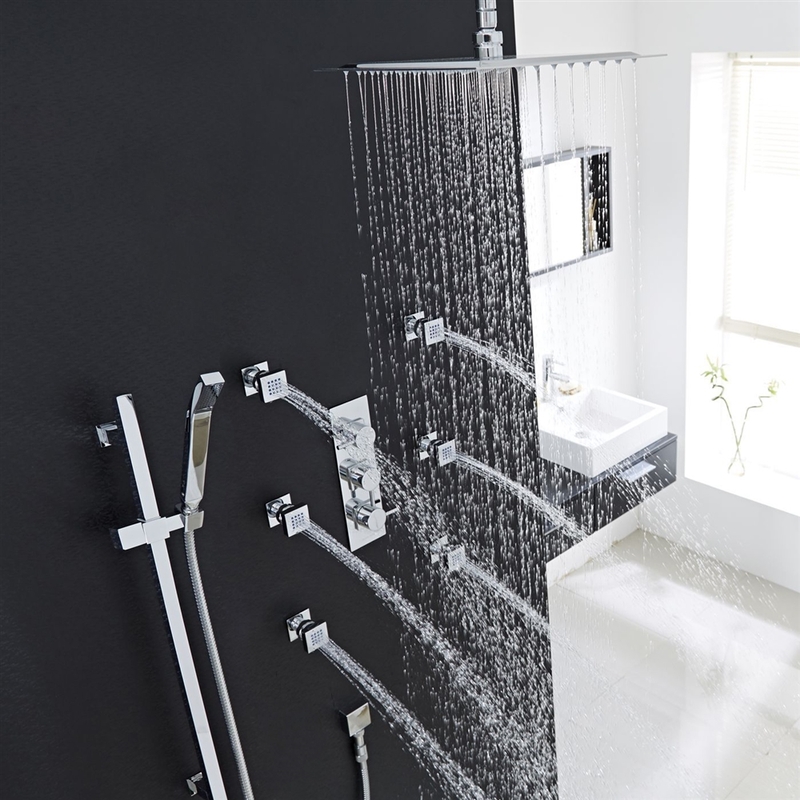 On installation was when i noticed the shower set came with 6 shower body jets. Super amazing stuff!. However, i wanted a shower set with the LED lights and thought this one came with that feature. But i guess it is a great shower set. I had to send one of the body jets for a replacement because it wasn't working as well as the other five. This was quite a bother, since I had to wait for the replacement part to come before we can finally finish the installation of the whole thing. Another thing that got to me was the long wait for the delivery of the replacement part. I think it took about a week and a half before it came. 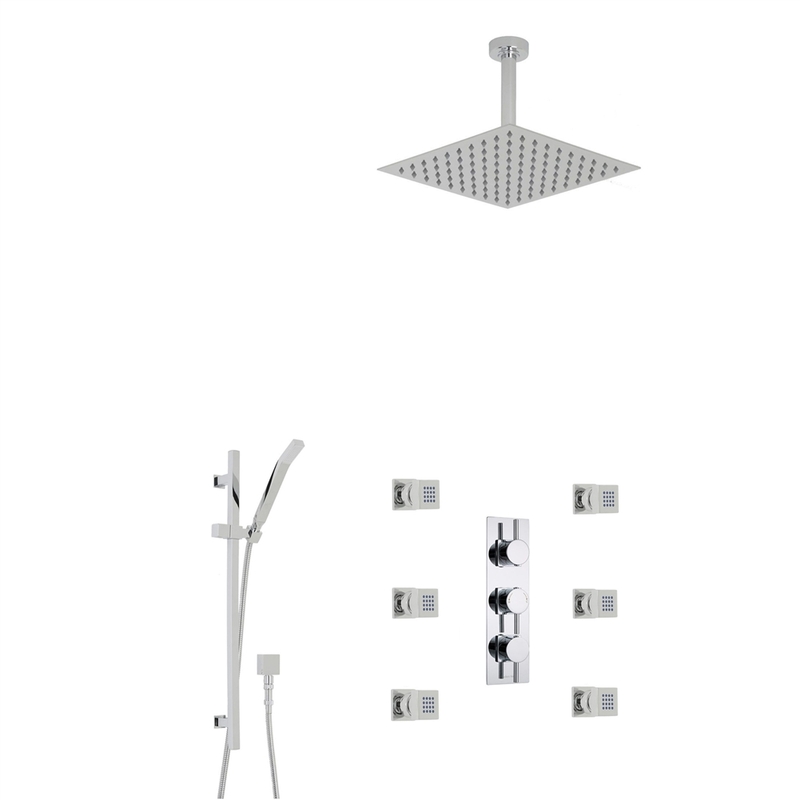 There were several shower sets here in the site, but after going over some of them, I decided that this would be the best choice for me. I really enjoy using the body jets a lot. I've never showered with one before, and know at least I know how good it can feel. It looks pretty standard though, and won't look as luxurious as a shower panel does, but I guess the price is all about the quality and function.